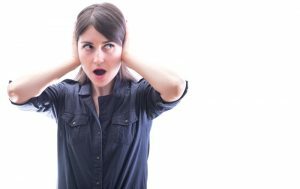 The booming sound that’s caught your attention is the sound of unburned gas in the combustion chamber of your furnace suddenly burning up all at once. The combustion gas isn’t supposed to build up like this, the burners should ignite right away once your furnace cycles on. This booming noise signals that something is preventing the timely ignition of the gas jets, leading to a sudden, delayed ignition. One reason this might happen is due to problems with the electronic ignition system. That’s right, even gas powered furnaces due utilize a bit of electricity. It used to be that standing pilot lights were the standard way for modern furnaces to light the gas from the gas jets. But now, electronic ignition systems, such as hot surface igniters, are used for this job. If that igniter isn’t coming on right away, then it can allow for a buildup of combustion gas. Your furnace is designed with a safety mechanism that if the igniter fails, the gas flow will be shut off completely. But this doesn’t account for delayed ignition. If this is the case, you’ll need to have the igniter replaced, or soon your furnace won’t turn on at all. Another common cause of delayed burner ignition is an accumulation of dirt and grime along the burners, which prohibits their ability to access oxygen and therefore ignite. Carbon and other particles build up over the years, and routine maintenance is designed to take care of this. Otherwise, the burners can be overwhelmed by grime and dust. To fix this issue after the fact, you must have a professional HVAC technician remove the burner and clean it with special chemicals. Always Keep Up on Heating Maintenance! During your heating maintenance appointment, our technicians thoroughly inspect your system, making sure it’s operating as effectively and efficiently as possible by ensuring any parts that need adjusting gets it, the system is clean inside and out, and you are alerted to repair needs so you can get them scheduled right away. We urge you to have this service done once a year. It’s typically recommended that you have maintenance done in the fall, before you need your heating system on a daily basis. But it’s more important that you be consistent by scheduling the service once a year, no matter what time of the year it is.